Messy Church is a different kind of Church experience for all ages, but especially suitable for families with young children. It’s about exploring Bible stories through creativity, understanding God’s love through a shared meal, and celebrating a God of joy who wants people to have life in all its fullness. Here in Troon, Messy Church is a joint venture of Troon Churches Together, and meets monthly (Oct-Apr) in various church halls around the town. 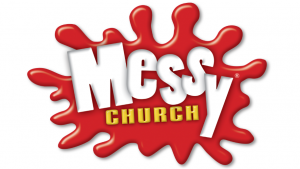 For exact dates and venues, check out Messy Church Troon’s Facebook page (please like the page for updates). 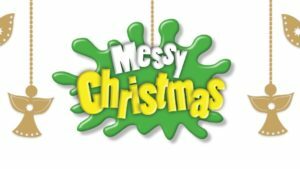 Sunday 26 November 2017 Messy Church is back at Troon old on Sunday 26th November. With an eye towards Christmas, this month it’s all about Shepherds. Sunday 1 October 2017 Messy Church restarts with an afternoon meeting in Portland Parish Church on Sunday 1st October. This month’s theme is “Harvest” and we’ll be looking at the parable of the sower. Sunday 23 April 2017 Messy Church continues with an afternoon meeting back in Troon Old on Sunday 23rd April. Sounds like there’s going to be quite a party with all that celebration! Sunday 4 December 2016 Messy Church this month is all about getting ready for Christmas and there’s a bit of an Angel theme going on… See you at Portland Parish Church on Sunday afternoon between 4 and 6 pm! Sunday 2 October 2016 Messy Church restarts with an afternoon meeting in Troon Old on Sunday 2nd October. This month it’s all about Giving Thanks with family and friends. Please note the earlier start time of 2 pm!